That stretch of 1 can't catch a break this year, there was a rock slide out around Big Sur that had the highway closed last year. Not that I'm making light of the fact people might lose there home and all...because that's really $#!++y in any circumstance...but it might make for a nice week day drive if all the tourists are gone and the road is still open. That said it's hard not to comment on the hipster-ness nature of those people they are interviewing in Carmel...I wouldn't be shocked if the guy with the beard is the last person in the state who might use "hella" on a regular basis. I actually remember a vacation a couple years ago when I went to my brother's from Florida when the wildfire was going on. We actually rented a cabin somewhere near Show Low out on AZ 260 and had a blast with the place to ourselves with friends watching the mushroom cloud off to the east. The Soberanes Fire is huge news here. But it's obviously a lot closer to us. I believe the Bay Area channels have also been covering it almost as much as our local news, who leads with it every night. As much as it would surprise someone from the Bay Area, no one here watches their news. Because of our wind patterns, structure damage has been minimal and probably will continue to be so, and Highway 1, against my own predictions, has remained open. They did close all of the state parks in Big Sur, but that may have been reversed since they've let most of the evacuated people back in. And I believe the Nacimiento Ferguson Road is closed, as the entire Monterey district of the national forest has been closed. I could not give two shits about the tourists that would normally be clogging up the road down there this weekend. They don't hike in Ventana Wilderness anyway, so they're not losing anything. Their little viewpoints and interpretive signs will still be there for then to selfie in front of for the 15 seconds while they're stopped to "enjoy" the view. The firefighters have mostly taken their hotel rooms anyway. I've never understood why people come here at this time of year: it's fog season, fire season and ant season. The hills are all brown and, this year, it's been raining ash in Monterey. Up here in San Jose we've been getting smoke & fine ash on & off for days. Most of the first wave of smoke stayed over the Santa Cruz mountains (a buddy in Redwood Estates, with his own perennial fire worries, said visibility up there was down to 20 feet or so last Tuesday); later moving east (thankfully, it didn't stay over downtown San Jose for long -- Mineta International would have reversed their landing/departing directions if that had occurred); as I look out my window this morning (Saturday about 9:45 am), the smoke seems to have shifted much farther east, well over the Coast range (I'll venture a guess that 152 over Pacheco Pass is a bit smoke-ridden today!). The only reasons tourists visit Big Sur during late July and August is, simply because that is when they could schedule their vacations (particularly if it would be their first -- and likely only -- visit). My mom loved the area, and would insist that any CA vacation trip include that section of CA 1 (my dad & I, the trip planners, always did it NB for obvious reasons!). He always got his vacation the same time every year -- the last week of July and the first week of August -- so all road trip occurred during that period, at least after about 1962 or so. Personally I'm a fan of the drive, there isn't many places in the entire country where basically 55 MPH is tolerated on mountain roads for a huge length of time like it is on Big Sur. I went out there last the week after the landslide I mentioned was cleared out with the Challenger for the first time and had a blast. Stopped in at Hearst Castle for the hell of it and still maybe saw only 3 cars heading northbound with me all the way to the Bixby Bridge. Usually I head up that way 3-5 times a year just for fun...but I'm surprised as all hell that the road is still open given how quickly it's typically shut down for almost anything. But to the points raised above...I have no idea why Big Sur is such a big deal in the summer. The highway is a lot more scenic in the Winter or Spring given that it's the wet season and doesn't have the weather closures the Sierras have. I remember being pulled out of school for 2 weeks in 1993 for a family vacation in December which included Big Sur, I'm guessing most people can't really hack that with their kids these days? Regardless, I'm still surprised that I haven't heard boo about a 30,000 plus acre fire until today....go figure. The only reasons tourists visit Big Sur during late July and August is, simply because that is when they could schedule their vacations (particularly if it would be their first -- and likely only -- visit). I know why foreigners and people from out of state come in the summer, but most our weekend visitors are from the Bay Area and the San Joaquin Valley. The latter I can see that they like to escape the heat, and those awful towns they force themselves to live in, but I don't understand why the 101 is jammed every Friday in the summer with people from the Bay Area. It's a lot nicer here on the shoulders and heels of the rainy season. Highway 1 gets closed by rockslides almost every year in the winter, but usually in different places. There's a fairly new section with a rock shed that was opened just a couple of years ago, and one that's being constructed in a similar fashion, with a rock shed and a new viaduct to get over a section that is gradually falling into the sea and perpetually causing issues and closures. Funny enough, because of the fire, Caltrans has suspended work there at Cow Cliffs, but I would imagine the one-lane section is still out there, and is now just going to be there even longer. I mean, without the highway being continuous, businesses in Big Sur - and other smaller roadstops like Lucia and Gorda - lose a tremendous amount of money because people are more likely to just turn around after a certain amount of time if the road stops, and a lot fewer people drive south to north anyway. I bet a lot of people though would get really upset if they talked about closing it off on those problematic sections. As of May the one-lane automated traffic light section was still there on the cliffs. And I'm assuming that you mean a temporary closure to fix the road all at once? That probably wouldn't fly given that so many people know what can happen when Caltrans closes a road for repairs....all those locals would be up in arms. There was a similar situation with CA 3 earlier this year and boy it got fixed fast...or reopened at least. Even 299 is still open even though they got you down to dirt for a couple miles east of Weaverville. Funny....I could have been based out of the Bay Area, L.A. or San Diego if I wanted but I chose Bakersfield. Main reason I did it was due to the cost of living being so much lower and the money being the same. I would call these cities "ideal" by any stretch of the imagination but the cost of the living was the overriding factor for me...besides having working in San Diego, L.A. and Riverside for 5 years previously then commuting back to Phoenix had me burnt out on suburban California. I suppose that the heat and dry air never bothered me all that much but traffic and over priced real estate does. Regardless my preference is the Sierras for the summer months and the coast or desert for winter. The Soberanes Fire was started by an illegal, unattended campfire in Garrapata State Park, law enforcement and fire officials announced Tuesday. It was just a matter of time. I knew it was human-caused, based on its starting point, but this just really upsetting. Hiking on the Soberanes Canyon Trail fairly recently on a weekend, when the small dirt lot often fills and pushes people to park ever more precariously along the roadway, I encountered at least five groups with unleashed dogs. Even leashed dogs aren't allowed on that trail. It's indicative of the undeserved entitlement people often feel with state parks; that the rules don't apply to them for some reason. Garrapata has the misfortune of being highly accessible yet lacking the parking fee that keeps most of the true dipshits out of the parks farther down the road. So it was really just a matter of time before something like this happened. Really that's any park with easy access. There was some guy up on a trail in Yosemite with some dogs. First off you ain't allowed to have dogs on any national park trail I know of. But what made it worse was there there was a crap ton of bear warnings and a giant trap set up for one at the beginning of the trail. Nobody ever reads the posted rules despite how easily accessible they may or may not be...which leads to crap like those fires. Took a lot longer than I expected, but they closed SR 1 around the Bixby Bridge overnight last night, reopening at about 6am this morning, and it's just been closed again. We had some pretty serious wind last night and it's picked back up again this afternoon. At least the temps and humidity are good for firefighting. Yeah I'm not surprised it's still going with how dry it's been this summer. I think it's been about two months at surface elevation since I've seen rain all the way down here. It looked dry as all hell when I was up in San Jose the week before that fire starting. So much for the tourist season. That area basically has almost no water sources, that will be fun trying to put that out. Maybe I'll go see the Tollhouse Grade and some of Kaiser Pass Road instead? Good news is that's contained....I suppose I'll just play it by ear, looks like 168 doesn't have any closures. Guess I'll have save my energy up for next weekend with Lassen Peak and Sherman Pass because I'm not going anywhere Friday except to pick up the Sonic in the afternoon. I rented a Sonic once in Atlanta with a temp plate. The temp plate flew off in a storm and they tried to charge me for it. I hated that car. Maybe they're better now though. No no no no, 198 is well east of the fire. It would have to jump the Salinas Valley before getting anywhere near to 198. The Goose Fire should already be out. If you're looking for weekend plans, then I wouldn't throw this one out. Keep checking. Basically the main symptom something was up was my clock on my Infotainment center was going nuts. 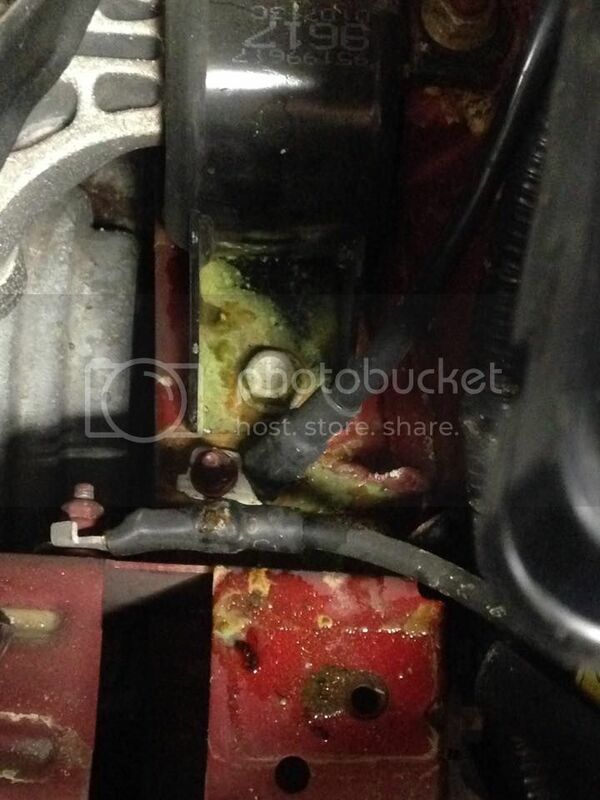 I opened the hood and sure enough the terminal to the ECU had a ton of aqua colored corrosion....but I didn't expect that kind of discharge with the acid. Good thing I caught it because Sherman Pass and Bodie are next week, that had the potential of going south right quick. I actually had a Fiesta as a daily driver for about 2.3 years and I thought it was great. The only problem was that I racked up 143,000 miles in that time period. That car wasn't the best around town but really came into it's own as a mountain driver, the thing was a fantastic little handler. The real bonus was that I averaged 42.4 MPG over the life of that car because the twin-clutch six speed was basically built solely with fuel economy in mind. What I didn't like was that it wasn't the most comfortable of the sub-compacts out there which is ultimately why I went with the Sonic. Now the Sonic basically has the opposite merits and demerits. The thing is comfortable as all hell putzing around town and to work. I really like the Mylink system way more than the original generation Sync. The interior is pretty nice for something in it's class and it is very comfortable. What I don't like about the Sonic is that only gets about 35 MPG in the same driving scenarios as the Fiesta, the transmission response downhill often has me shifting manually on 6% plus grades because it can't find a gear, and the handling is floaty. To be fair the amount of issues that I've had between the two cars through 42,000 miles is pretty similar. 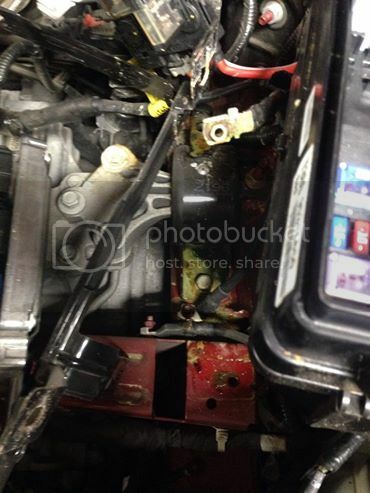 The Sonic had a leaking water pump at about 18,000 miles that got replaced under power train warranty and now it's got this negative terminal issue. The tires the Fiesta came with were awful and prone to springing slow leaks which I had happen twice on the original set, I was able to salvage both though. The weird one was that the capless fuel filler developed a bad sensor which made the car think that it had a constantly full tank of gas. Basically I had to bust out a calculator and estimate my mileage and how much gas could go in the tank before it hit the overflow valve. I actually had 5mm of the original brake pad left on that Fiesta when I sold it to some old guy in Florida who wanted a winter car. He got a screaming deal, I had every single last piece of repair paperwork and maintenance log to go with the car....completely by the service book. I still see that car chugging along whenever I visit family out in Florida. Unfortunately I got to get this Sonic on Friday, I have a honey-do list for the weekend... 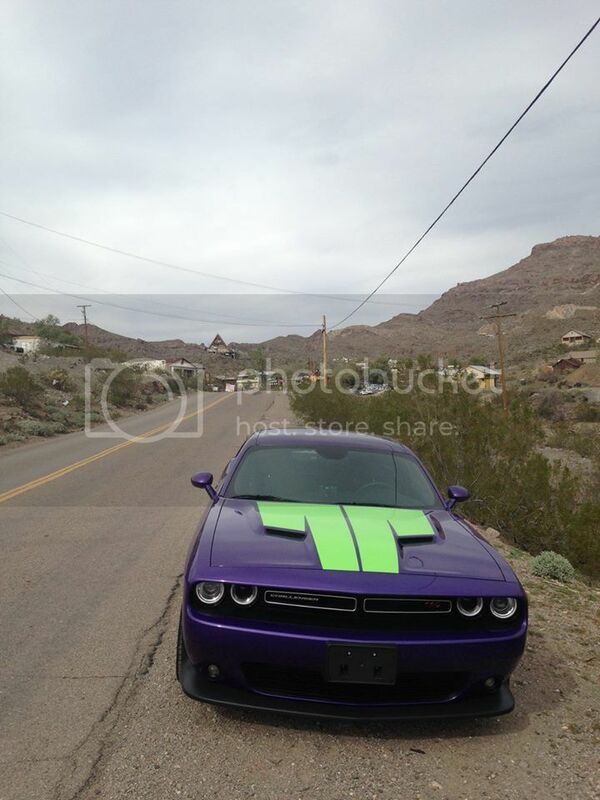 Besides Kaiser Pass Road might be a little on the extreme side for a Dodge Challenger given how wide it is as opposed to the narrowness of said road. 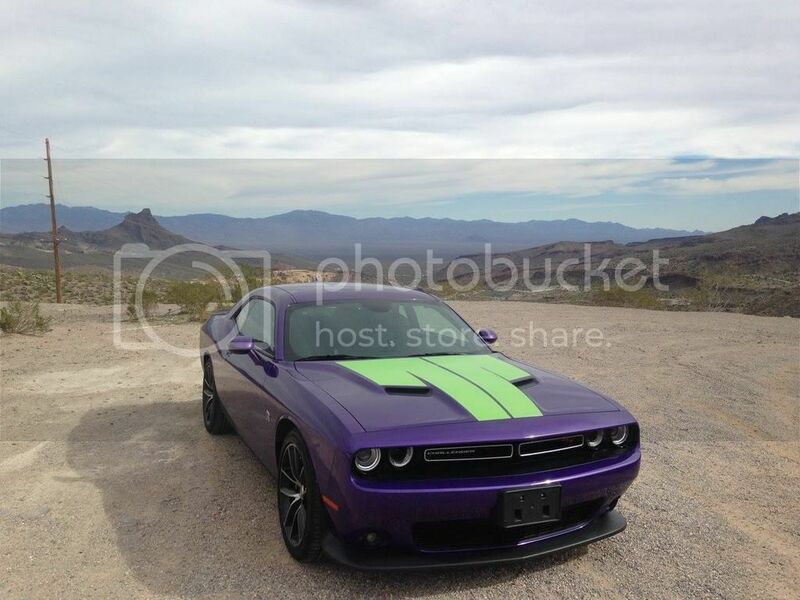 Personally, I'd love to see a pic of a Dodge Challenger on the floor of that canyon, so I'd say go for it. 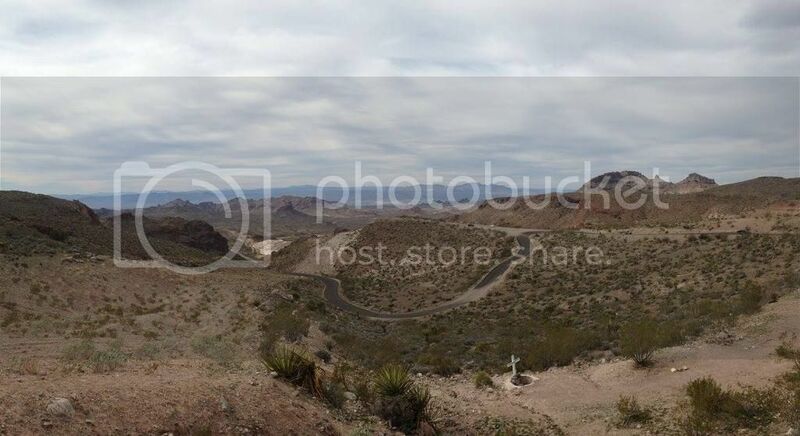 I was actually pretty pleasantly surprised to find out that the Oatman Highway had just been resurfaced over Sitgreaves Pass. That actually made the road even faster than I thought it would be since I'm more used to heading up hill east from Oatman rather than west from Cool Springs. Scared the hell out of some guy in a Mercedes going up hill towards the summit, thankfully he parked on some ledge near me and didn't get back in his car until I was already heading back down. Had to create my own parking space in Oatman though. Caltrans isn't showing it yet (well done, Caltrans! ), but Highway 1 is closing from Point Sur north to the Big Sur village for 24 hours today, starting at 2pm. I would guess that it'll be closed longer. What's funny is that it's now officially Monterey Car Week, when all the rich assholes of the world descend on our poor little fogged-in coastal region. Most people have never heard of this (I hadn't before moving here), but it's a huge deal: bigger than both the golf tournament and jazz festival. Monterey is basically a no-go for the whole week, and the events spread out all over the region, even into my little suburb where we're often spared this sort of BS. I only bring this up because the Soberanes Fire has already caused this contingent some problems already: their little parade, Concours d'Elegance, which typically starts in Big Sur, has now been rerouted. I would also guess that many people have just outright cancelled. I was at the beach in Seaside a couple of days ago, and the smoke line was right there, extending south and blanketing Monterey. The winds have shifted somewhat now, but it's likely they'll shift back and bring the smoke into Monterey again. That little car show has probably done more to enhance car snobbery than almost anything else in the past two decades.... Usually people at car shows throw that out there at Cars & Coffee events...."oh...my car is a Contours d'Elegance car." I'd be interested to see the attendance figures for this year, it will probably illustrate how fair weather/trailer queen that crowd really can be. It was planned to close again today (as I figured it would) until 5pm, and it's still closed now, according to Caltrans. Each year during Car Week, almost aligning with the time of the Concours d'Elegance, they do a "Concours d'Lemons" in Seaside. They bring out a bunch of beaters and drive them down the roads in town, deliberately mocking the other parade. I expected Pintos, Vegas, Gremlins, Pacers, Yugos, Chevettes, 1000s, Aspens, Volares, Metros, and all the like. I didn't realize how close to the Soberanes Fire really got to 100,000 acres. Probably won't surpass that number with 60% containment....seems like a rarity they get over that size in California. Nothing quite beat the Wallow Fire for me though when that thing was 538,000 something acres.